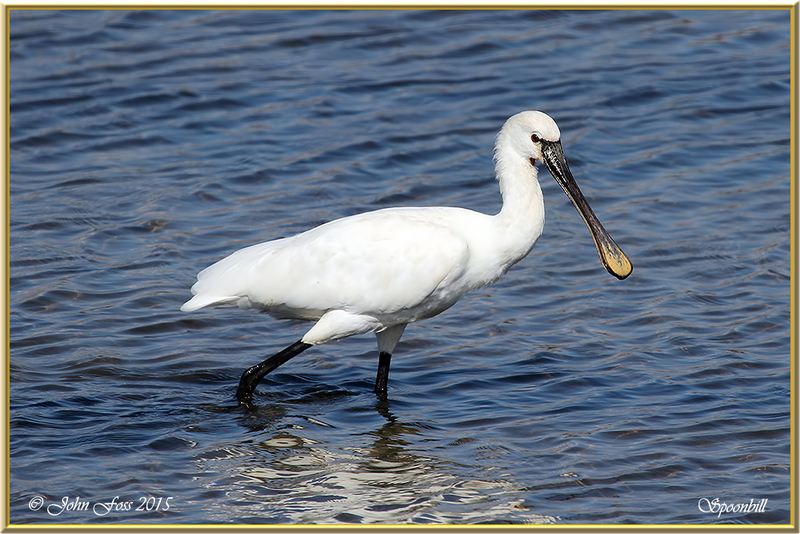 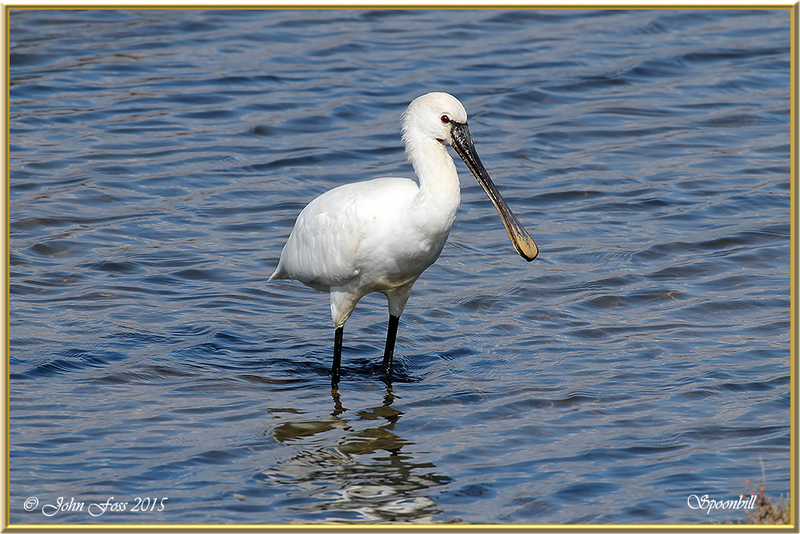 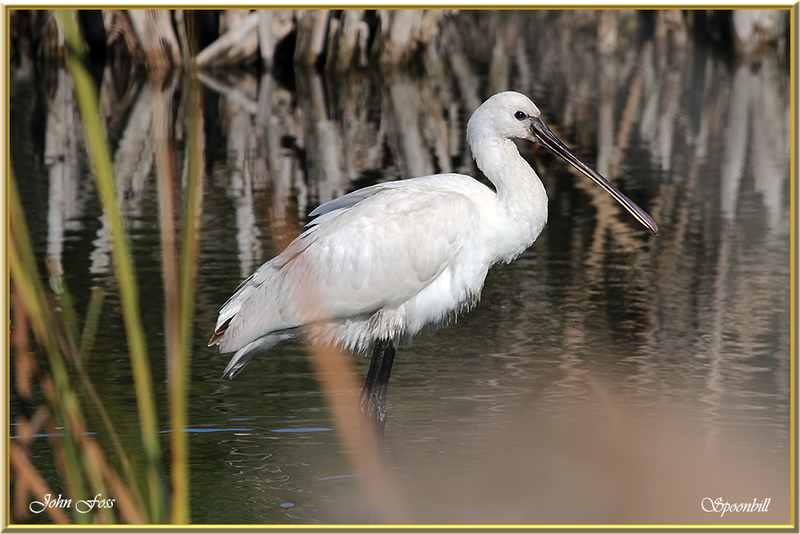 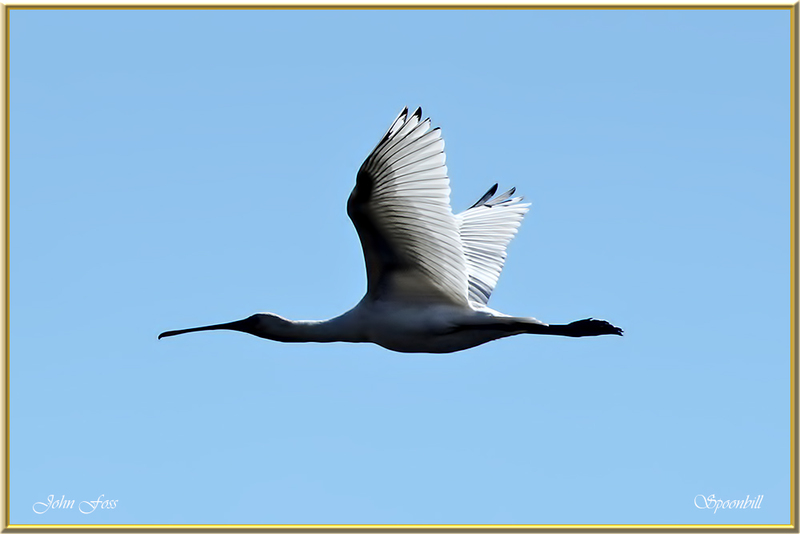 Spoonbill - A few of these birds still visit the UK on passage. 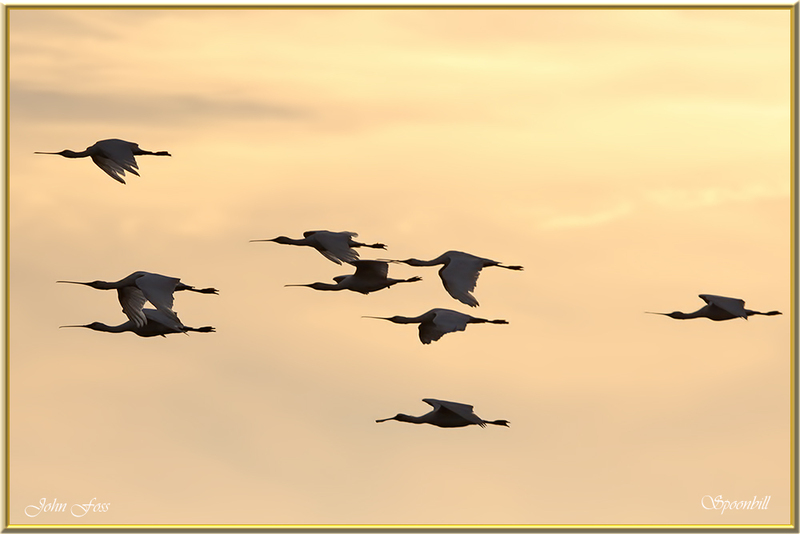 Most migrate south but there are quite a few can be seen in Western Europe. 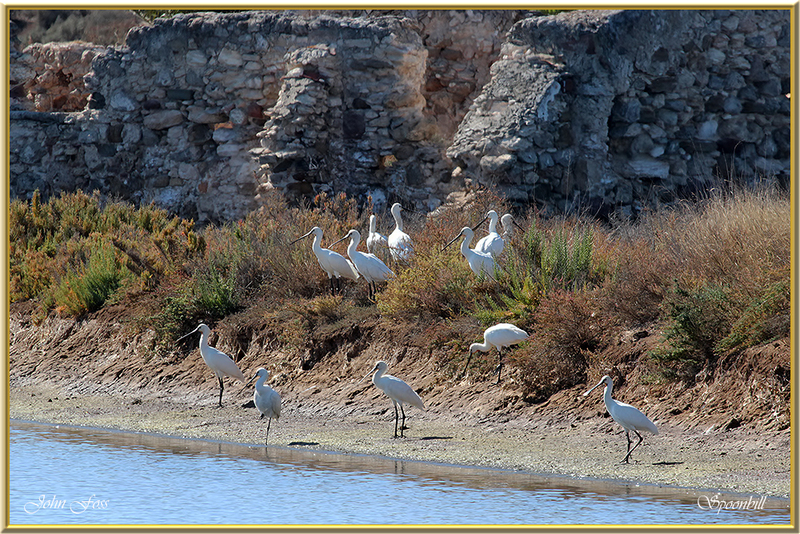 They prefer fresh water to salt but I saw these birds in the Algarve at the salt pans near Castro Marim, Cabanas de Tavira and Quinta Do Lago in Portugal. 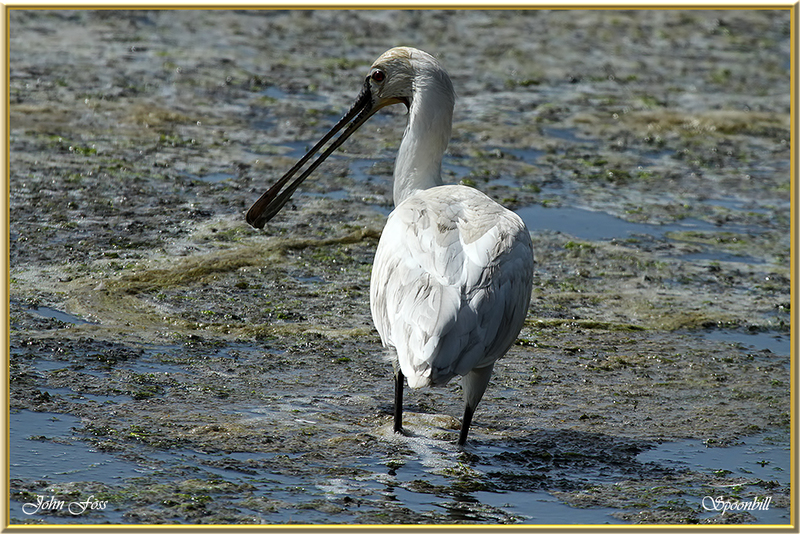 They feed by sweeping the bill to and fro in shallow water to feel for small fish or aquatic insects. 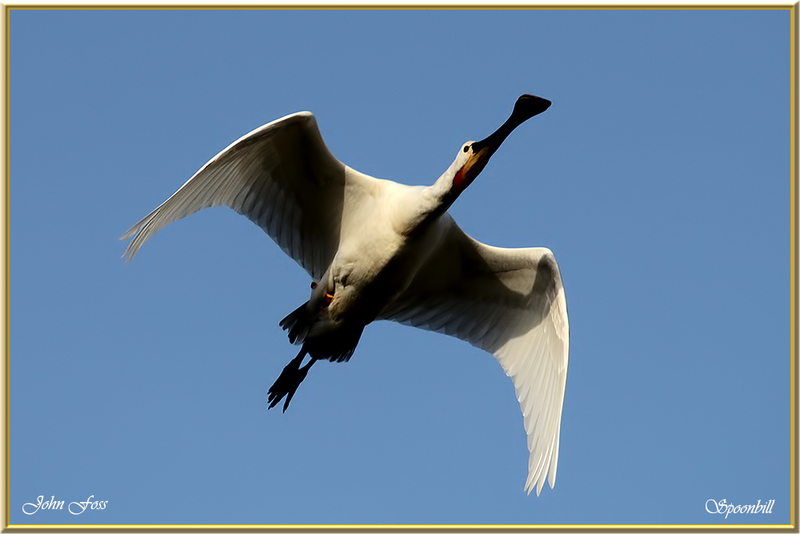 The bill will snap shut when it comes into contact with any available food source. 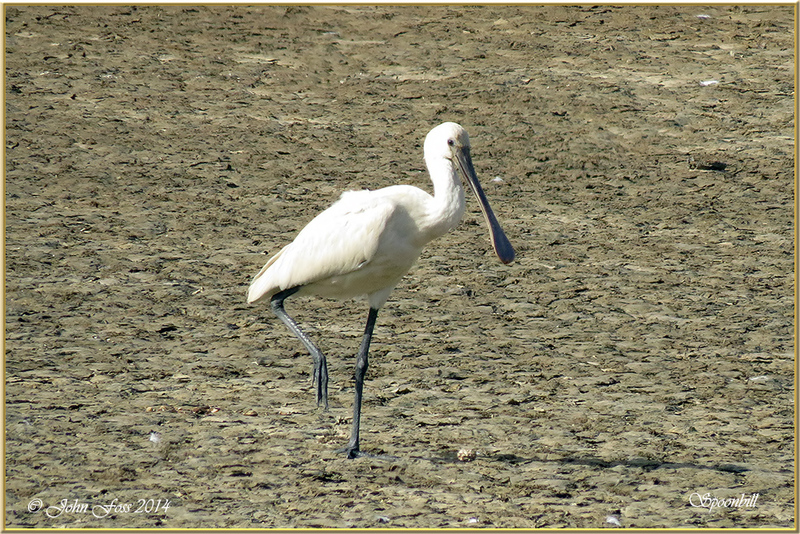 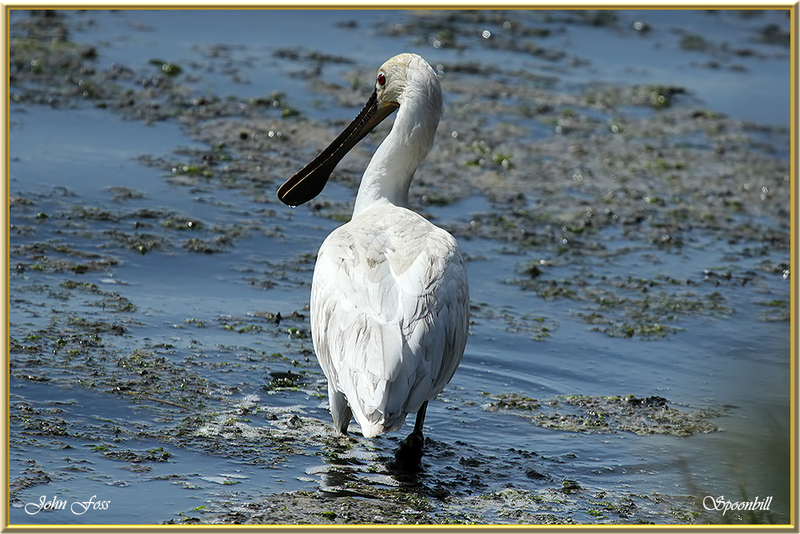 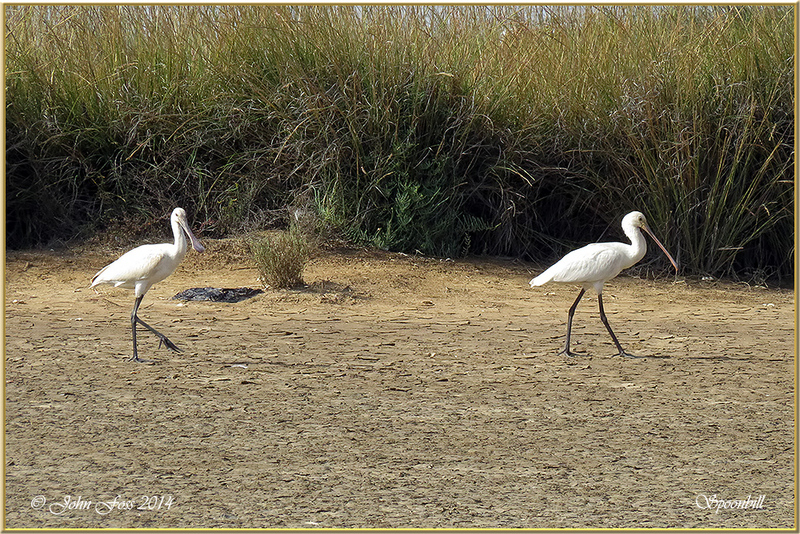 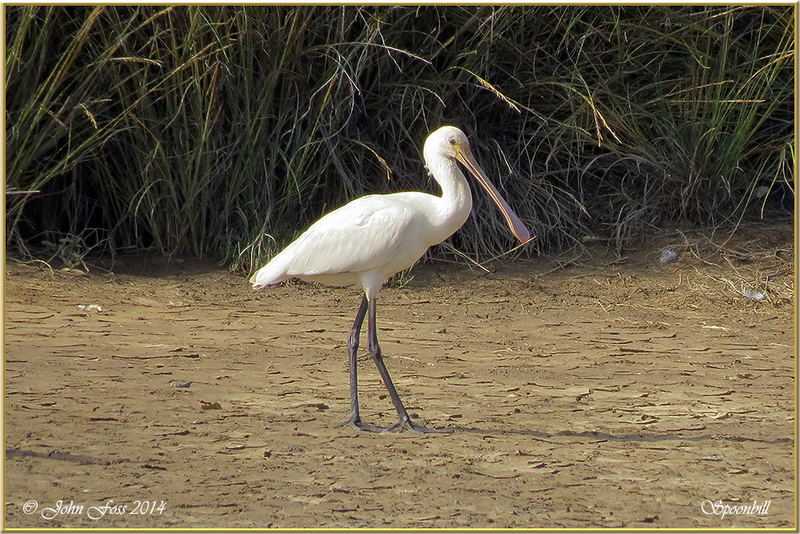 ▼ Spoonbills feeding at low tide Ilha de Faro Portugal. 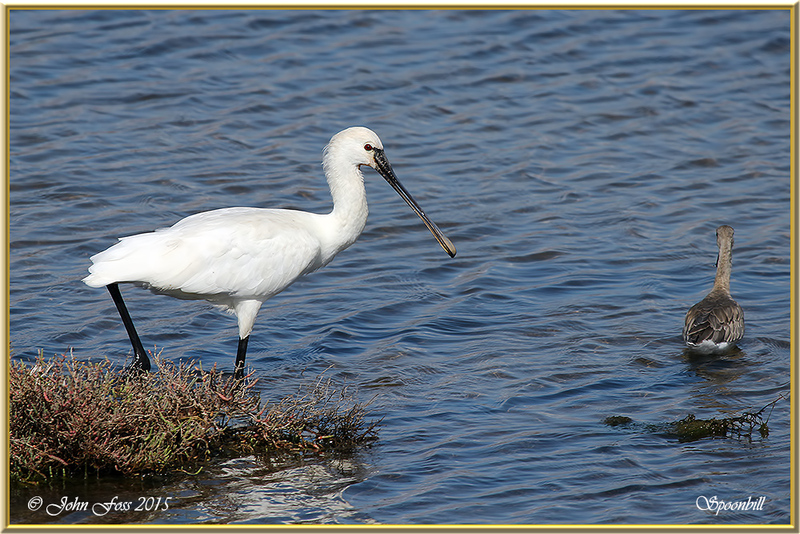 Note one ringed and a Little Egret getting in on the act!